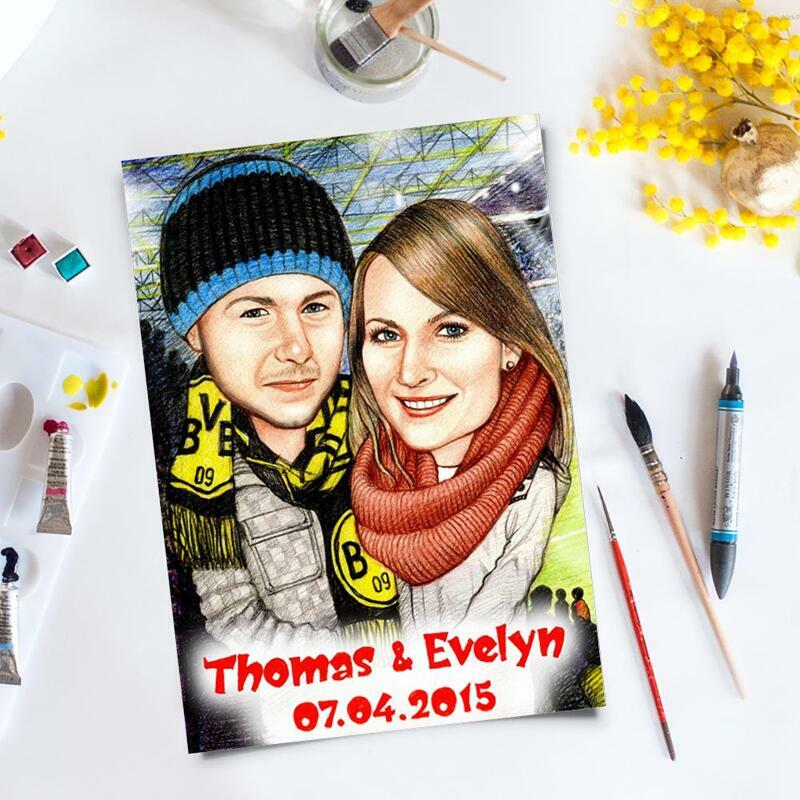 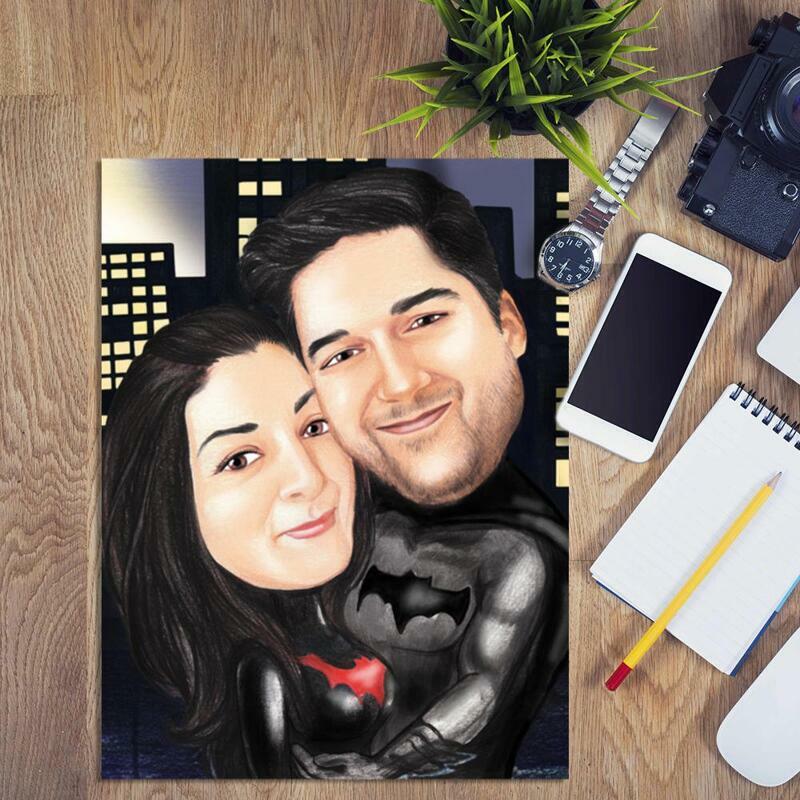 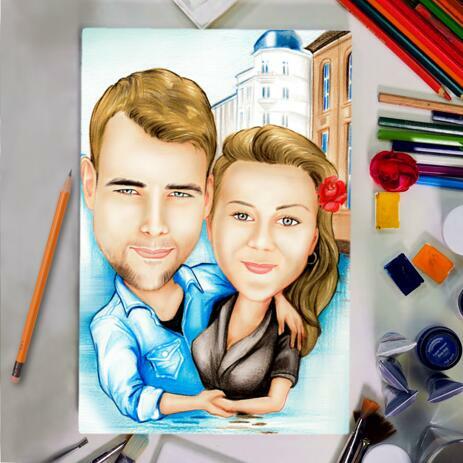 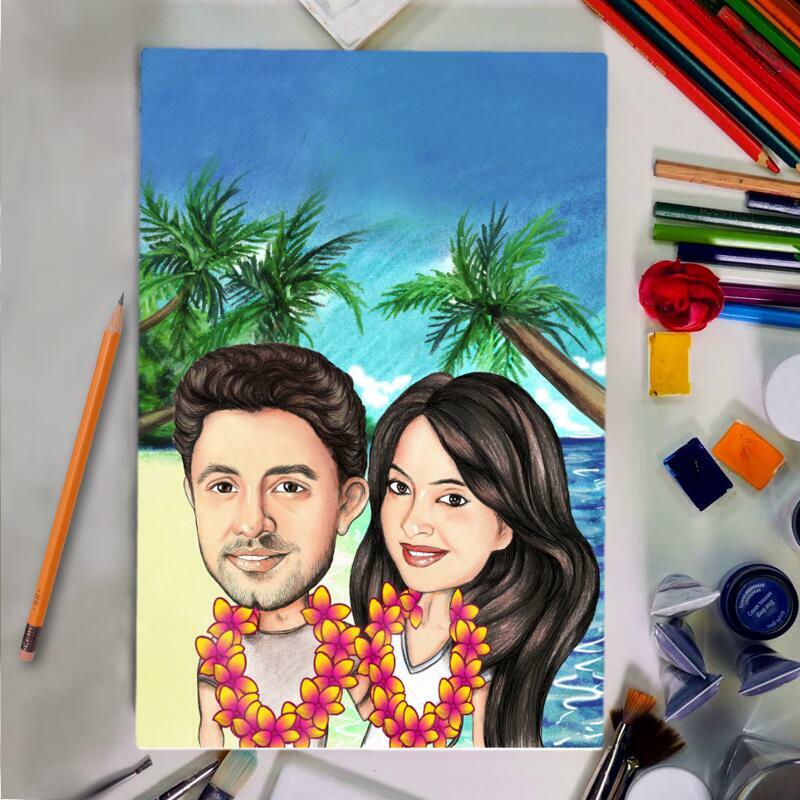 Order a beautiful colored pencils caricature drawing of your couple which will be hand-drawn based on regular photos and professionally designed by talented Photolamus artist. 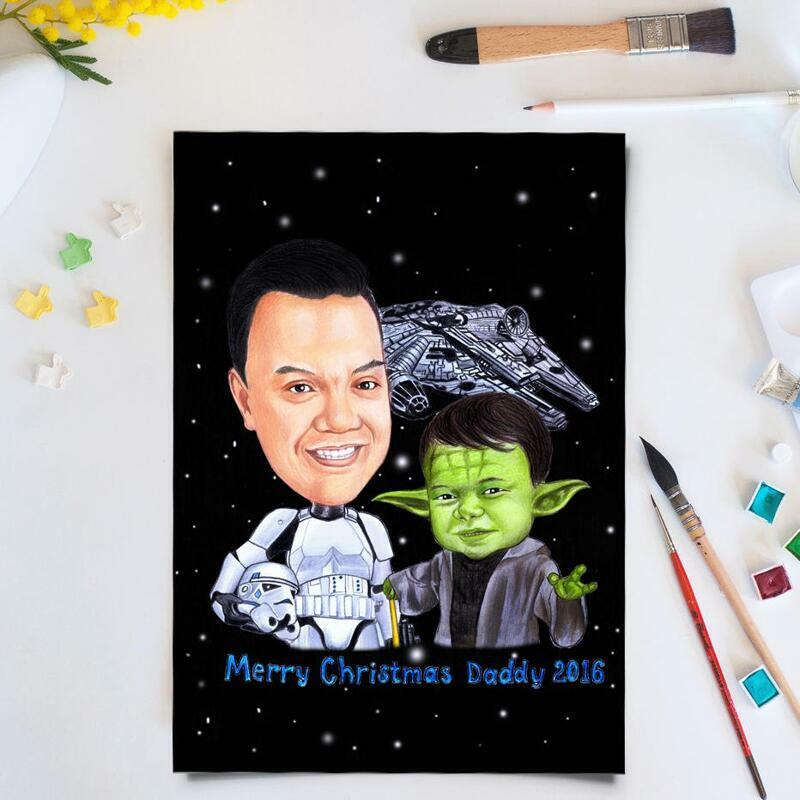 If you have any specific ideas regarding custom background, additional props and other details which we have to draw on your custom caricature drawing, then you can request them and we will send you a custom quote. Such a funny and original caricature takes about a week to get done by our artist. 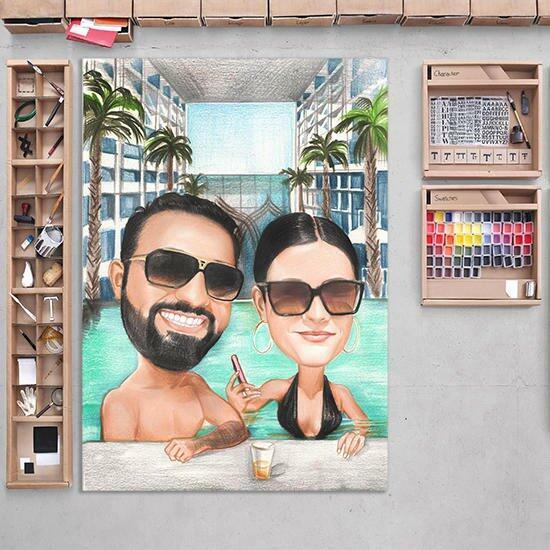 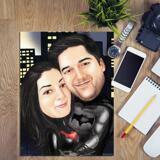 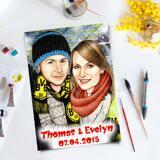 Pencils Caricatures are delivered within 20 days by post. 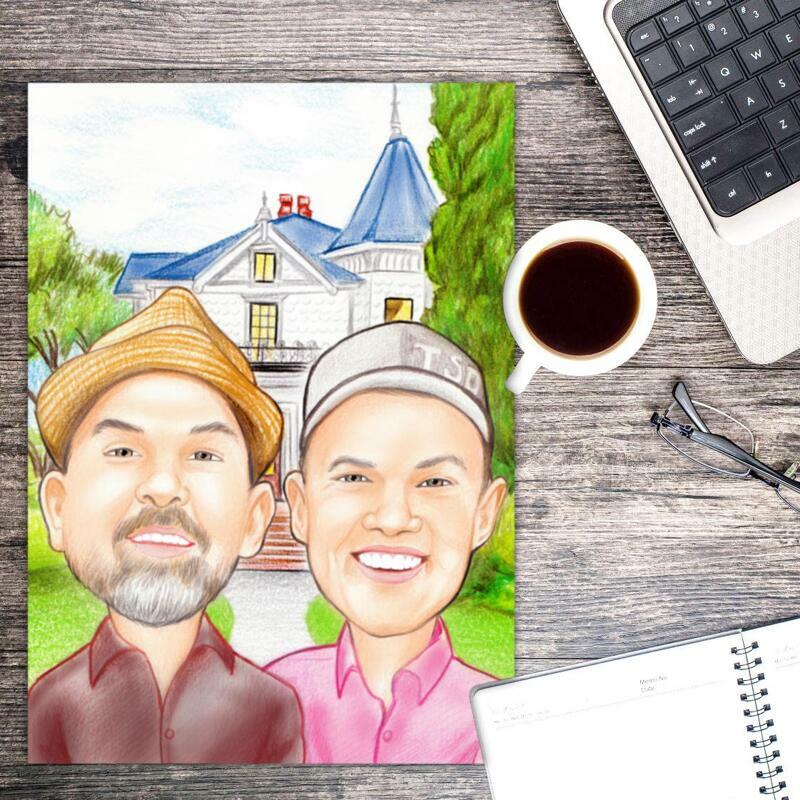 Besides, original ready-to-be-framed drawing, you will get a digital JPG File on Email, which can be printed on any surface and used in personal way.